There are still apples on the tree nearby. People can see it above their heads on the street everyday, including children whose school entrance is twenty meters away. 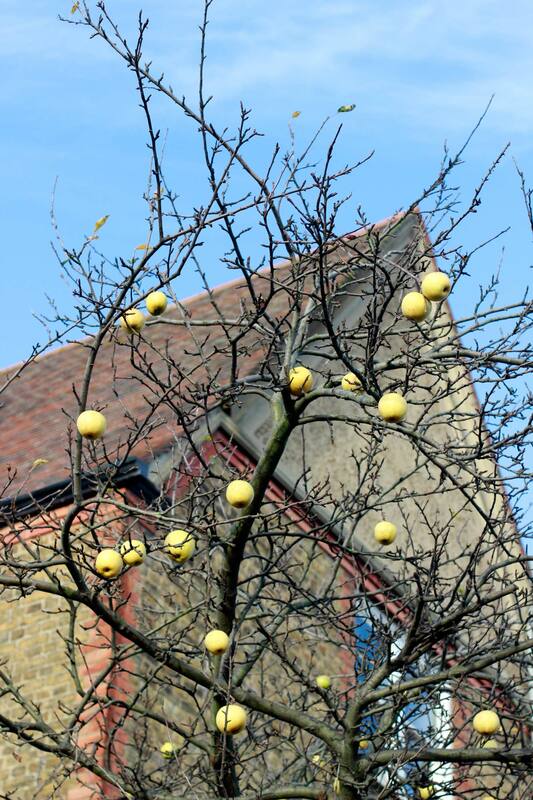 Apples will probably still be on the tree on Christmas day. Southfields, 19th Dec. This entry was posted in Stories and tagged Apples, Southfields, UK by Les Jardins d'ici. Bookmark the permalink.